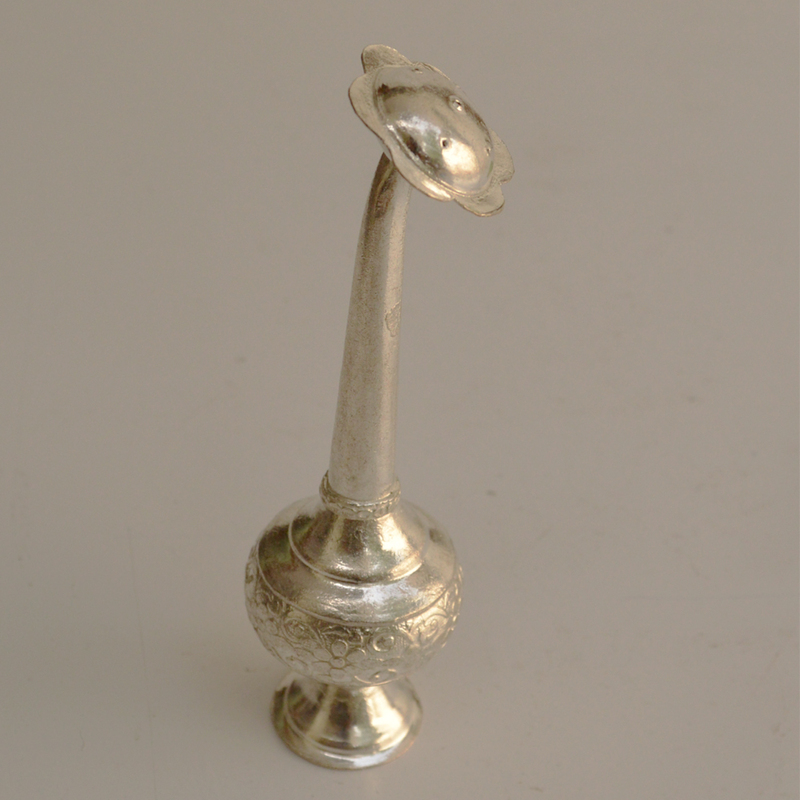 This German Silver Sprinklers for Ittar or Holy Water is ideal for users looking for a sprinkler to sprinkle aromatic Ittar on guests or themselves, Read More..or for sprinkling holy water on auspicious occasions. 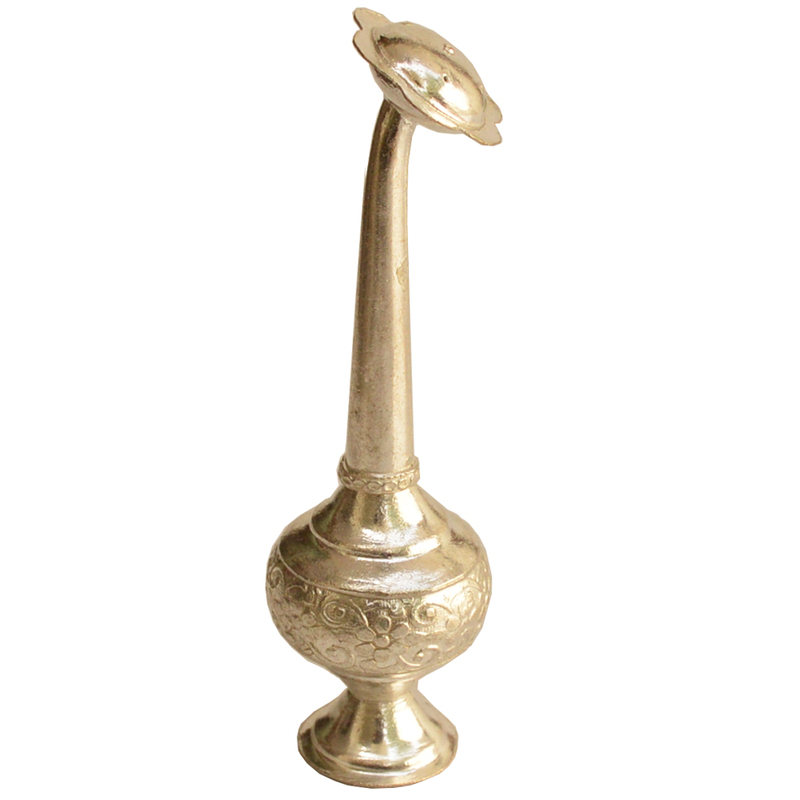 The simplistic design of this sprinkler does not hide the immaculate carving done by master traditional craftsmen to make it an inconspicuous but still striking choice for showcasing its owner’s refined sense of aesthetics. This sprinkler is for the most sophisticated of households. Show Less..